Hello “Enlightened Journey” subscribers. I want to begin by thanking and congratulating each of you from all over the globe who have this past month taken the initiative and made the conscious choice to subscribe and explore further into what may prove to be the personal knowledge that you require to empower and allow you to begin changing the course of your lives in whichever area you desire, and ultimately improve the world as a whole. I am both humbled and honored that you have expressed an interest in “Enlightened Journey” and have made the choice to allow me the opportunity to share “my views” of what I have come to believe to be the true, practical, and precise steps that you may also choose to take to enrich each area of your own life. It is NOT my intention to change the current beliefs that you hold as truth, or to convince you to accept any specific doctrine, but instead to provide a possibly different alternative and perspective on those things that you have come to believe in your own life which may not be providing you with the quality of life that I have come to believe to be not only available but intended for every person on earth. Sometimes all that may be keeping you from experiencing your most sought after dreams and desires is a slight shift in your thinking process. Each of the principles, actions, exercises, and recommendations that are shared with you in each edition of “Enlightened Journey” are the same that I have discovered and found to have made a dramatic and powerful difference in my own life. My message comes to you from many years of searching (and at times frantically grasping) for answers that at one point in my life, seemed impossible to find. After many years of participating in various “man made” religious circles, studying various spiritual writings, exploring the latest in scientific research, and carefully examining the results of my own personal experiences, finally putting all of them together I arrived in a place that I call spirituality, absent of any labels or judgment whatsoever. I arrived at a place that provides the greatest sense of inner peace and “knowing” that I have ever previously experienced and believe to be as close to “real truth” as I have been able to discover at this point in my journey. 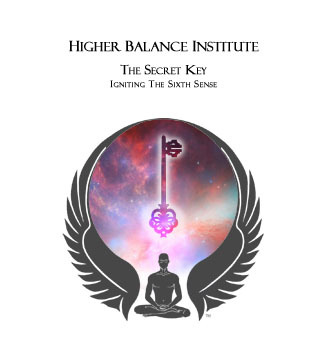 It is through these very discoveries that I have found to be “extremely effective” in enhancing my own life that I share with you here in the pages of “Enlightened Journey”. My hope is that these things that I share will allow you to discern and decide for yourself if these same answers that I have experienced and found to be “Life Changing”, might also be the very answers that you have been looking for that will allow and empower you to improve your day to day outcomes for yourself as well as those that you love in a dramatic and powerful way. In this edition we’ll expand a little on the previous issue concerning the creative power of your thoughts, as well as begin to delve into how the current beliefs that you hold also determine your outcomes and which are equally responsible for those thoughts that you currently think, in the hopes that you’ll be enabled to develop a deeper understanding as to how you are quite literally creating each of the events, conditions, and circumstances that you experience in your day to day life and which will also allow you to develop the awareness as well as specific steps that you can take to begin consciously and purposefully changing those life events that you choose NOT to experience, and replace them with those outcomes that you DO most desire and deserve. The first crucial step in initiating lasting and effective change is coming to the realization that……. It is important to understand that it is YOU and only you who are creating whatever you are currently experiencing in your life, whether you perceive those experiences to be positive or negative, regardless of what life area it may be, and regardless of what you have been taught and led to believe in the past concerning how each of those life events unfold. 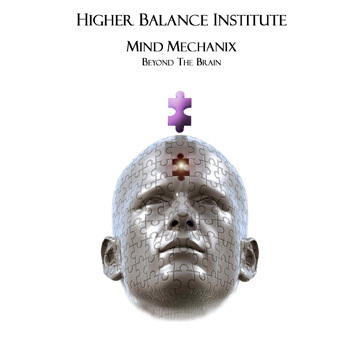 It is those very beliefs that you have been taught, established as truth, and hold which are causing you to think the thoughts that you do each day, and are therefore creating the physical life results that you are experiencing. Once you have developed this understanding, it will become possible for you to learn to begin taking the necessary action which will allow you to begin consciously attracting the desirable events, conditions, and circumstances that you desire to experience regardless of what they might be, and in the process also allow you to begin to purposefully and consciously begin changing and eliminate those circumstances which you find to be unpleasant. 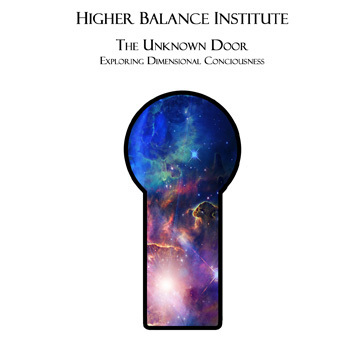 I hope that you have had the opportunity to explore the Universal Laws which I mentioned and recommended in the February Edition of “Enlightened Journey” so that you might have a deeper understanding as to how each of the circumstances in your life come about. It doesn’t matter if you rely specifically on scientific proof or your religious preference to come to these conclusions, as you’ll soon begin to discover that regardless of what area you lean on for your understanding, in essence they are one and the same and will eventually allow you to, if you delve deeply enough, come to the same conclusions. So, did you take the time to do the thought exercise that was mentioned in the previous issue? If you did you found out just how noisy your mind can be without any conscious effort on your part. Now that you have discovered this important fact, the next step is to begin to learn how to purposefully quiet the mindless babble that you are and have been unconsciously allowing and begin to consciously think and focus those thoughts on those things that you most desire to see manifest in your life. 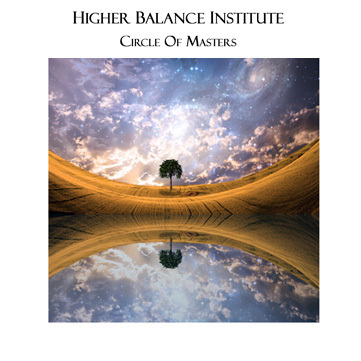 In addition you will need to become aware of as well as begin changing the false and self limiting beliefs that you have absorbed throughout your life that aren’t serving you and which are equally responsible for those outcomes. It is extremely important to understand that growth is a process and depending on your individual circumstances and the depth of your currently experienced emotions and established beliefs as well as the amount of personal effort you are willing to put forth to change your existing circumstances, will be the determining factor as to the speed and amount of change that you will become empowered to experience once you make this knowledge a part of you. This or any other knowledge in and of itself will not bring about the desired changes in your life. It is only through implementation of the correct knowledge that will, in a profound and seemingly magical way, provide the experiences that you desire IF you will allow it to. In order to begin experiencing different results than those that you have experienced to this point, it will be necessary to rewrite the false programming that has attracted to you the events, conditions, and circumstances to this point, and which will allow and empower you to change those current circumstances in whichever life area that you choose to change. I know and understand that there are many programs, seminars etc. that claim to be the “Fix Every Problem In Your Life In 5 Minutes “Guaranteed” flooding the internet these days but because of your individuality and varying conditions in each persons life, there is NO POSSIBLE WAY that ANY program can make such broad statements and claims with ANY accuracy. What may work for one individual in a matter of minutes may take another more time to digest, conceive, believe, and implement into their own life, before they will begin to experience the changes that they desire. Regardless of what category you may find yourself in, choose to do the correct and necessary internal work and your life in the external world will begin to reflect dramatic, powerful, and pleasant changes. You see the outcomes that you are currently experiencing, whether you perceive them as good or bad, are due to a combination of the thoughts that you think, the beliefs that you hold and the emotions that you experience based on those things. Once you are able to recognize this truth, you will become empowered to begin making conscious, focused, and necessary changes that will allow you to begin experiencing the life that you desire and that the majority in our world only dream about. Contrary to what many believe to be truth in our world, the life events that you experience and see manifest in your life each day are not due to some capricious circumstances, or as a result of pure chance. Although everything that you do experience in your life, regardless of how you perceive it is necessary for your ultimate growth, the results that you are currently experiencing ARE due to the internal processes (thoughts and beliefs) going on within you and once recognized can be purposefully and consciously changed which will allow you to begin experiencing desired results. It is the false beliefs that you hold and have chosen to hold onto, combined with the thoughts that you think that are quite literally creating your current circumstances and keeping you from experiencing the kind of life that you consciously claim that you would like to experience. Here is an example of a False Belief that many hold…..
As an example, if as a child you grew up in an environment where money was a constant struggle and those that raised you developed the belief that “Money is hard to come by” or “You must work hard for the money that you receive“, it is ABSOLUTE that until you replace this current understanding and change the beliefs that resulted from this experience and became a part of you at that young and impressionable age, that you will, even as an adult, find that money IS hard to come by and that you MUST work hard for the money that you earn. This is EXACTLY why so many in our world work in jobs that they dislike, and for far more hours than they wish. It is due to these TRADITIONAL and COMMON beliefs that so many have absorbed throughout their lives that have led them to believe that this is true, even though it couldn’t be further from the REAL TRUTH!!. It doesn’t have to be REAL truth in order for you to attract and experience it, it only has to have become YOUR truth. If you believe it to be true, it becomes your truth and therefore, through a process, manifests and becomes your reality. That is precisely how the Universe was created to operate. It delivers to you precisely what you ask of it. This asking is not done through your spoken words as many believe, but instead through the vibrational frequency that you emanate. Although you may consciously desire a certain event to manifest in your life, previously and falsely held subconscious beliefs that you may not even be aware of are many times are working behind the scenes creating a vibrational resonance within you that attract results contrary to what you claim that you would like to achieve. Have you ever taken the time to think about and analyze how and where the current beliefs that you hold came from? Most don’t give this much thought. What about you? Are you aware of how your current beliefs have come about? 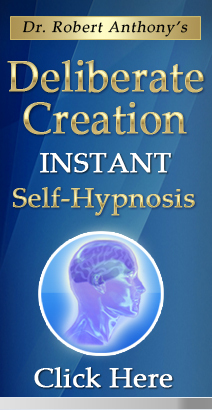 Are you consciously aware as to how the current beliefs that you hold came to be your beliefs? If you’re like most, the majority of them were derived through previous teachings that you received as a child. Now I am going to present you with a possibility that you may not have previously considered. What IF the original source of these current beliefs that you hold turned out to NOT be true at all? Would you know the difference, or have you to this point allowed your current beliefs to be established merely because someone that you trusted told you that it was true? Have you ever taken the initiative to discover IF they really are? If not, don’t feel alone. Most HAVE NOT. The majority take it for granted that well meaning parents, caretakers, and other trusted sources have provided them with the truths that will get them successfully through life. When you decide to take the initiative and begin to question some of the current beliefs that you hold, due to the fact that they might not be in alignment with manifesting your current desires, you will find that many of the things that you have been taught and currently believe to be true, may NOT be true at all but are based strictly on these handed down from generation to generation, TRADITIONAL BELIEFS!!! A good example of a previously held traditional belief would be the old “COMMON KNOWLEDGE” that the world was flat. Everybody in the world at that time KNEW that to be true because that is what they were told and taught to believe, and so it became their truth. It wasn’t until someone took the initiative to question that COMMON and WORLDWIDE traditional belief that the REAL TRUTH was discovered that the world really wasn’t flat at all!! Had this traditionally handed down belief continued to go unquestioned and unexplored we may very well to this day fear boarding a cruise ship for fear of falling off the edge of the earth!!!! Another means to absorb and hold onto falsely established beliefs may be through a personal experience that you had as a child, that you may not even remember having. For example, maybe one of your parents or someone that you looked up to as a child often became angry and without considering or being aware of the long term damage that could be done made statements such as "Are you stupid?" or "Why can’t you ever do anything right?" or "Why can’t you be more like your brother?" The possibilities are endless, but you get the point. Many times these types of statements can be absorbed into the subconscious thought processes of your mind and are affecting your ability to accomplish things that you truly desire to accomplish. Universal Law is precise and unwavering and does not make judgments as humans do, Each of the outcomes that you experience in your life are not based on perceptions of good or bad. Humans are subject to reacting to emotions and previously established beliefs based on their own past experiences and react in ways that they are programmed to react. The Law of Attraction simply attracts to you additional energies of the same vibrational frequency that you emanate, and makes no distinction as to what it is sending to you is good or bad. Your internal vibrational processes (thoughts, beliefs, and emotions) are the determining factor as to the life results that you are attracting and receive. This process is what many times is referred to as Unconditional Love. It is this form of Love that delivers to each precisely what they are asking for through their vibrational output. To provide more clarity into one of the examples above, let’s assume that a parent during an angry spell continually told you that "You were not good enough". If that statement made a big enough impression on you, you will discover that regardless of how hard you may try to manifest a desire that you currently have, even as an adult, the underlying or subconscious belief that you absorbed and now hold (as FALSE as it is) is literally creating a vibration that is keeping you from attracting and accomplishing whatever your current desire may be. Until you are able to become aware of and replace that false belief with the TRUTH concerning who and what you TRULY are, it will continue to effect the results that you experience in your life, and you will continue to attract results that are in alignment with "not being good enough"!!!! Once you are enabled to develop the understanding of the Unconditional Love of the TRUE SOURCE, whatever you perceive that to be, you will begin to understand that this Source doesn’t judge as humans do based on an individuals actions as many religious circles would have you believe, but only delivers back to you based on that which you give out. It is not delivered as punishment or judgment of any kind but based solely on the immutable and unwavering Universal Laws that govern the entire cosmos. Common human understanding and logic would have you believe that if someone does something which in your perception is wrong or bad, that they will be judged and payed back for such actions. It is NOT a payback that is actually received but the outcomes that are experienced are based on the initial seed that was planted (the outgoing vibration) that will manifest the results in their life. Not due to anger or payback, but due to Unconditional Love. 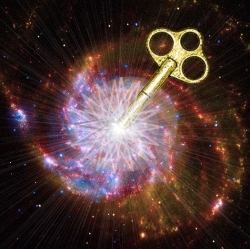 By the same token, for those that choose to only harbor good and positive thoughts (what you may perceive as good seeds) and bring into harmony the internal processes based on those thoughts, they too will receive back good and positive outcomes in direct relation to the seeds that they planted, IF the underlying beliefs that they hold are in alignment with the desired outcome. It is also important to understand that if you wish ill will on anyone regardless of who they are and what they may have done, in reality YOU are emanating a specific vibratory output which in reality is communicating to the Source that those things be done to you. Quite simply, when you wish ill will, resentment, etc. on others, it is YOU that is emanating a specific vibratory pattern which based on the indisputable Law of Vibration, and through the unwavering and unbiased Law of Attraction that you will attract more of the same to you based on the signal or vibrational output that you are sending out!!! This is why in spiritual circles you are taught that forgiveness is an essential part of living a life of harmony. In the real world it has been proven time and again that those that carry resentment or un-forgiveness toward themselves or another long term, can and will eventually become ill. It is not necessarily that they have done something wrong to someone else physically, but the internal thought seeds of resentment, anger and un-forgiveness that is going on within them internally which creates a specific vibratory output and will eventually attract and create illness or dis-ease. Being at dis-ease creates disease. Harboring and holding on to ill feelings creates ill-ness. As complicated as it may seem at this point, it is actually quite easy to understand once you are able to grasp the fact that EVERYTHING that you see, and experience in the entire universe begins as a seed. It doesn’t matter what it is. Whatever seeds you are planting, you can be assured that you are going to receive outcomes in your life in direct correlation to those that you plant. When presenting this truth to many I receive various rebuttals and statements. One of the most common is….. Although most, with their limited understanding would lean on the COMMON understanding that a plant must grow from the ground, we are all quite aware that it would be impossible to grow a desk or a computer from the ground. Although I must admit that I have never witnessed a computer or desk seed sold at the local horticulture store that would produce either of these, they DID originate from a seed. What kind of seed? A THOUGHT SEED. Regardless of what it may be that you can think of that exists in our world, until it was first conceived as a THOUGHT (seed)and nurtured with a belief, it could NOT have come in to physical being. If the Wright Brothers hadn’t had the THOUGHT that a metal machine could achieve flight, as well as the belief that they had the ability to create it, you wouldn’t know what it was like, and would probably even consider it to be IMPOSSIBLE that a constructed metal mass weighing several tons which we have come to know as an airplane could ever leave the ground, and achieve flight. If whoever it was that invented the desk had not first had the thought that they could create a desk that you could utilize to more easily handle your clerical work, as well as the BELIEF that they possessed what it took to build one, you might still be sitting and shuffling your papers around on the ground. Had someone not conceived and come up with the thought of developing a means to communicate with millions around the entire world in a matter of seconds, and developed the belief that the technology required could be figured out, you would not know the convenience of logging onto and enjoying the convenience of the internet each day. Each and every thing in your life and in your entire world was derived first through a thought, or the seed of ANY outcome that you currently experience in the physical world, as well as the nurturing belief that it could be accomplished. Without the initial thought seed (spiritual) you would not experience whatever it may be in the physical world. Without the belief that nurtures the original seed, the seed would merely die and remain unproductive. From a more physical viewpoint, without an acorn you would not be able to experience the strength and beauty of an Oak tree. I cannot emphasize this enough, EVERYTHING that exists in our world was derived due to a seed, whether that seed originally consisted as a physical mass that you are able to buy at thee local plant store or an unseen thought seed that was derived through the unseen realm of the Universe. Ok, now that we’ve established that thoughts are the initial seed for the outcomes that are manifesting in your life, it’s time for you to learn to become CONSCIOUS of those seeds that YOU are planting as well as determining if the the beliefs that you hold are properly nurturing those seeds. Once you have developed the ability to determine and fully absorb how this combination of thought and belief are creating your current circumstances, whatever they might be, you will become empowered to begin consciously planting different seeds and absorbing the correct beliefs which will begin to change the events conditions, and circumstances that you currently perceive as undesirable and are experiencing in your day to day life. Set aside time each day to follow through with these exercises. 1) Determine Your Desires What is it specifically that you desire to see manifest in your life? 2) Focus On Your Thoughts. Are the thoughts that you are currently thinking in alignment with that which you have a desire to Attract and Create? If not make a conscious and focused effort to begin changing them. 3) Examine Your Existing Beliefs. Determine if those beliefs are in alignment with those things that you most desire to accomplish in your life. Contemplate and begin to develop the awareness as to the subconscious beliefs that you hold and analyze where those beliefs originally came from. Are they traditional beliefs that you have excepted without analyzing? Do the beliefs that you currently hold support and nurture the thought seeds that you desire to experience? If not explore and discover new information that will allow you to discover the CORRECT beliefs. First of all you’ll need to determine specifically what those things are that you intend or would like to accomplish. Not just generalities but specifics as to what circumstances you would really like to see and experience. Make a list of them. Better yet at this point only pick one. If you could pick just one thing for your life and you knew you couldn’t fail, what would you choose. Would it fall under the category of rigorous health? Fulfilling relationships? Monetary gain? Now think about experiences that you have had in your life. Think about and try to recall how your parents would have reacted to your current desire as a child. How would they have reacted when you were a child concerning your current desire? How do you think they would react right now if you shared it with them? Would they be supportive? Would they tell you it is unrealistic or farfetched? Would they tell you it’s NOT PRACTICAL? 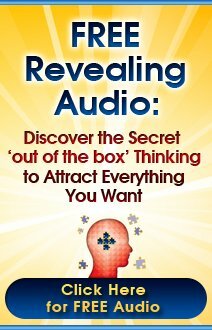 Is there anything that comes to mind that might have created a subconscious belief that may be keeping you from manifesting whatever your desire may be? If anything surfaces write it down and become conscious of it’s power. If you can’t pinpoint any conflict there, go to the next step. Now think about any personal life experiences you may have previously experienced in relation to your current desire. Have you ever attempted to accomplish this same desire in the past and maybe didn’t have quite the positive experience that you would have liked to have had? Have you maybe tried numerous times and wound up with the same result? If so you may have established a belief that you CAN’T accomplish what you now currently desire, based on that past experience. It is important to understand that REGARDLESS of what you may have tried and failed at in the past may have been due to your THOUGHT PROCESS at the time that you were trying to accomplish it. For the remainder of the month contemplate, give this some serious thought, and really dig down and find what may be keeping you from accomplishing whatever your current desire may be. As things arise take notes and keep a record of the thoughts that come up regarding what thoughts and beliefs you feel may be keeping you from achieving your current desire. As you do this exercise you will begin to develop a crystal clear understanding as to why you may have been unable to bring your desire into manifestation in your life and then begin to develop a specific action plan as to what you can do differently to bring about the results that you DO desire. If it is due to previously established false beliefs, you NOW have the awareness as well as the choice, and the ability to begin consciously recognizing and changing the beliefs that are keeping you from accomplishing whatever it might be. If it is due to your thoughts you have the ability to change the thought (seed) process that is blocking you from making your current dream a reality. Remember, It is not your thoughts that think you, It is you that think your thoughts. By understanding this you can make the conscious choice to begin changing those thoughts that may be in conflict with what it is that you desire to see manifest. Regardless of what the reason may be and regardless of what you may have been taught in the past, you now have the awareness as well as the personal responsibility, if you REALLY choose to fulfill your desire and make it a reality, to shed the beliefs and change the thoughts that may be keeping you from it. When this new truth begins soaking in and you begin to take correct action in working toward manifesting whatever your current desire may be, you will find that you truly are a creator of circumstance and NOT a victim of circumstance as so many today "Falsely Believe." You can do whatever you desire. You can become whatever you choose to become. You can create a life far superior to any that you have experienced thus far, once you make the conscious choice to do so. Make a commitment RIGHT NOW to follow each of the steps recommended and to fulfill each of the exercises that are being presented in each of the Enlightened Journey editions, and you will soon discover the TRUTH of your REAL and UNLIMITED power to create the events, conditions, and circumstances that you most desire to experience in your life. Discover your TRUE ability to attract and create the life of your dreams and develop the TRUTH about who you REALLY are and what you were created to become. Realize that you were created in the image and likeness of your creator, Gaia, the Universe, or whatever you perceive Him or Her to be and you will have discovered a creative power far greater than any "human logic" or understanding can support. * Begin to develop the understanding that you are personally responsible for the current outcomes in your life. * Become and remain conscious and aware of the moment to moment thoughts that you think each day. * Begin to become aware of the current beliefs that you hold, which may be in opposition to achieving your desired outcomes. * Take time each day to go into the silence, preferably through a regular practice of meditationand you will begin to develop a sense of Awareness, Knowing and Inner Peace that you previously considered to be out of your reach. In the February issue of Enlightened Journey I included an article by world renowned “Wealth Mentor“, Leslie Fieger. 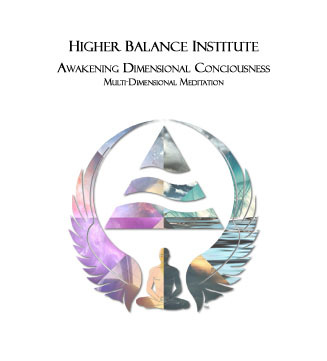 I am so impressed with Leslie’s delivery and the way in which he is able to convey his message that I am going to include another of his articles in this edition of Enlightened Journey to allow you to better grasp the ideas that have been conveyed. For those of you who are new and have recently subscribed to “Enlightened Journey“, Leslie is the author of many INCREDIBLE works which can be acquired through the Selftech Success Library . These works have quite literally changed thousands upon thousands upon thousands of lives all around the world. Leslie, a self made millionaire who went from flat broke and living a very unfulfilling, unhappy and undesirable lifestyle to that of living a life of purpose and fulfillment, now shares his experiences with those that choose to discover them. After years of study and continually “missing the target” he, as he says in his words, “Got It” and in the next 365 days went on to make $1,000,000.00 with his newly acquired knowledge. In the following 6 years he went on to create a $65,000.000.00 empire utilizing the very process that he now openly shares with those who make the choice to discover it. Leslie now currently resides, in semi-retirement with his soul mate and friend Sandra on a tropical island, (St. Vincent and The Grenadines) in the West Indies. Teaching and spreading his “success formula” throughout the world has become his life purpose. It is his desire to share with others that they might too one day “Get It” and begin to experience the life that they desire and deserve. I encourage you to subscribe to Lelsie's FREE monthly newsletter “Prosperity Paradigm”, which provides terrific insight and specific direction concerning creating your life on purpose. You can view Leslie’s article by clicking the link below. Dr Bruce Lipton PHD, a cellular biologist, former medical school professor of Stanford University, and most recently best selling author of several books, the most recent being “The Biology Of Belief“, discovered through his extensive research, that contrary to previously established FALSE beliefs, that 95% of ALL illness and disease is due to falsely held beliefs at the cellular level. Dr Lipton’s research has shown that falsely established beliefs not only will effect your day to day experiences but will also create illness and disease within your body. Dr. Lipton’s extensive research known as the “New Biology” has proven that the life experiences that each of us are subjected to, specifically illness and dis-ease are NOT due to genetic heredity as previously believed, but instead are due to cellular memories that are passed from generation to generation. His work has shown that when these cellular memories are properly dealt with and changed, that the body is quite literally able to heal itself , both emotionally AND physically, without the need for external sources. 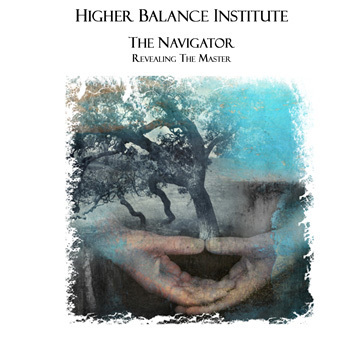 This healing is not only limited to emotional type healing but physical healing as well. 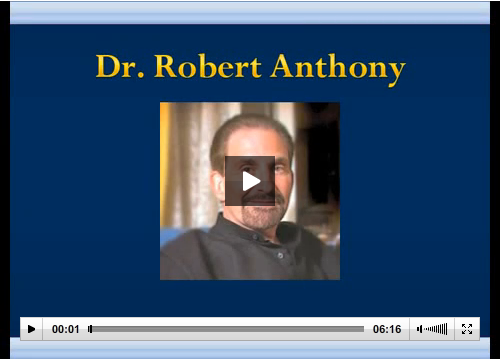 To further expand your knowledge and learn more concerning Dr. Lipton’s findings, you can listen to an extensive interview with Dr. Lipton conducted by Dr. Alex Loyd and Dr. Ben Johnson at The Healing Codes website, or if you prefer reading about this research, go directly to Dr. Liptons site at BruceLipton.com . Spiritual Writings and Wisdom Concerning The Power Of Beliefs and Your Given Ability To Manifest Your Desires. If you enjoy the "Enlightened Journey" ezine please do me and a friend a favor and "Pay it Forward." If a friend did send you this months edition and you like what you read you can Go To The Enlightened Journey Subscribe Page to make sure you don't miss a single issue. Also for those of you who choose to, please let us know your opinions regarding the newsletter. It is through your comments and suggestions that we will be able to provide you with the type of content that you would like to recieve. Regardless of what your comments consist of please give us your feedback. You can do that by clicking here. 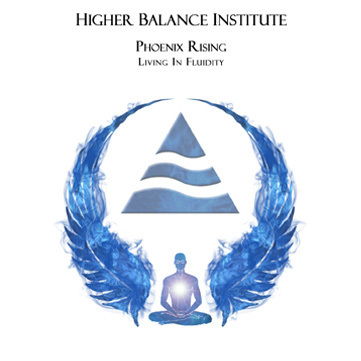 It is my hope that this and other additions of “Enlightened Journey” might play some small part in assisting you too to “Get It” and begin to show you how to attract, create, live, and experience the life that YOU desire and were also created to enjoy. Make a daily commitment to explore and discover the REAL TRUTH concerning your personal ability to attract that which you desire. You have been provided the free will to choose what you will do with your life. You have been provided with ALL the tools necessary that will allow you to achieve your desires. All you have to do now is choose to utilize them in the proper way. We at Abundance-and-Happiness.com will assist you in doing just that, IF you’ll allow us to. That too is YOUR CHOICE. Change your thoughts, change your beliefs, and your life will become one of Joy, Fulfillment, Profound Inner Peace, and Unlimited Prosperity in EVERY area of your life. Until the next edition of “Enlightened Journey” I hope and wish for you a heightened sense of self awareness and well being in all areas of your life.